MTS Plumbing and Heating - Plumber based in Bolbeck Park, Buckinghamshire. Based in Milton Keynes, Bolbeck Park MTS Plumbing and Heating is a growing company offering complete installation, repair and maintenance services to domestic customer. 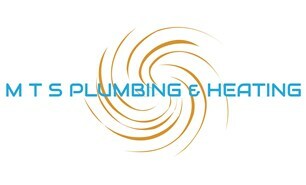 Mts plumbing and heating is a fully insured family run business owned by Marcus Saralli since 2009. At MTS Plumbing and heating we take pride in the services we provide, always ensuring customer satisfaction is met through a provision of high-quality standards. We have built our foundation on being a friendly and professional company who always go the extra mile for our clients. Therefore, our clients have been consistently reusing our services and recommending us over the years. * EMERGENCY CALL OUT 24/7. * ALL ASPECTS OF PLUMBING FROM BURST PIPES TO WATER FILTER INSTALLATION. * COMPLETE BOILER INSTALL,RADIATORS, TRVS AND UNVENTED CYLINDERS. * BOILER BREAKDOWN REPAIR AND MAINTENANCE. * GAS SERVICE AND LANDLORD SAFETY CHECKS. * UNDERFLOOR HEATING INSTALLATION AND MAINTENANCE. * 1ST ANS 2ND FIX NEW BUILDS FROM SINGLE BUILDS TO FLATS. If you have a plumbing emergency anytime day or night for excellent service at very competitive rates call 24 hours a day, 7 days a week.